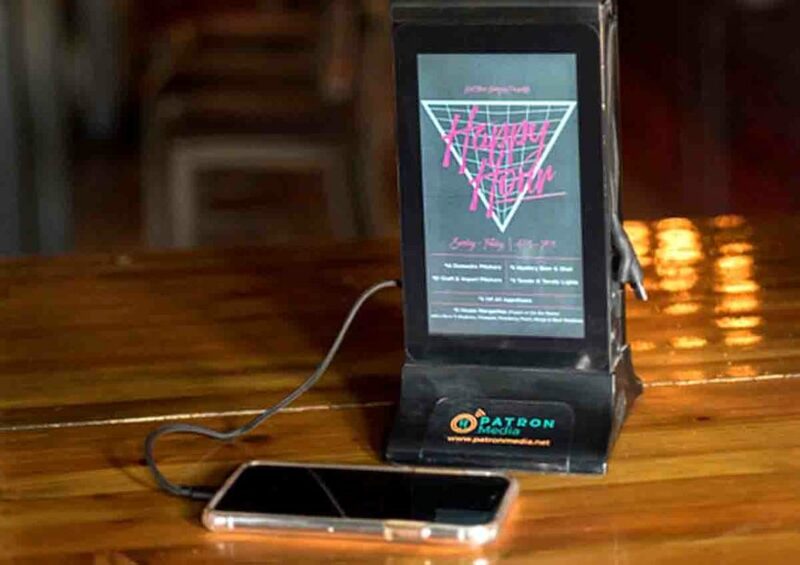 A long-time hotelier has branched out, bringing a new generation of phone chargers for pubs, to entice those extra minutes and educate patrons on house promos. 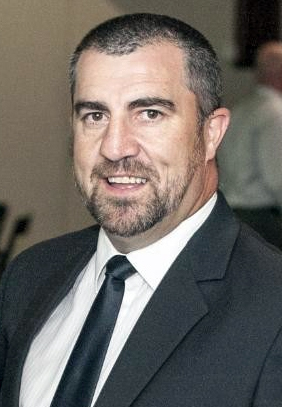 Anthony White boasts 29 years of pub and club management in Melbourne, working venues such as Geebung Polo Club, The Mentone and Hotel Barkly. 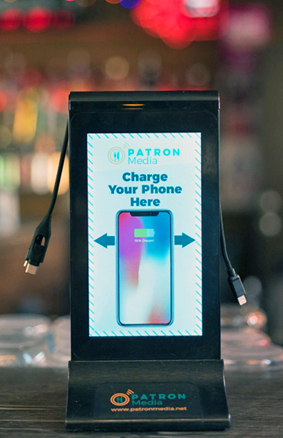 A recent trip to Hong Kong introduced him to the Patron Media tabletop charger, and impressed by its functionality he sought to get involved. After a lot of research, he secured an agreement to bring them to Australia. The units incorporate two high-definition 7-inch screens, plus phone plugs for Android and iPhone smartphones and two USBs for other devices. The screens display a rotation of video or static images – including some plugging the venue’s own offerings and specials. The rest are geo-targeted ads supplied by Patron Media. Staff simply need to charge the units each night and place throughout the venue. Each can charge 50 phones from dead to full on one charge of its own. Patron Media provides the tabletop unit, charging cart and all necessary training, along with weekly check-ins and a monthly site visit. There are seven slides displayed in rotation, with two of these available to the venue to use or even on-sell. Content is cloud-based, with real-time updates. As the next generation of phone chargers, with the benefit of active content, White says they are great for increasing patron dwell time in the venue. He has also overcome the potential problem of light-fingered guests souveniring the devices (which won’t work without the charger anyway). 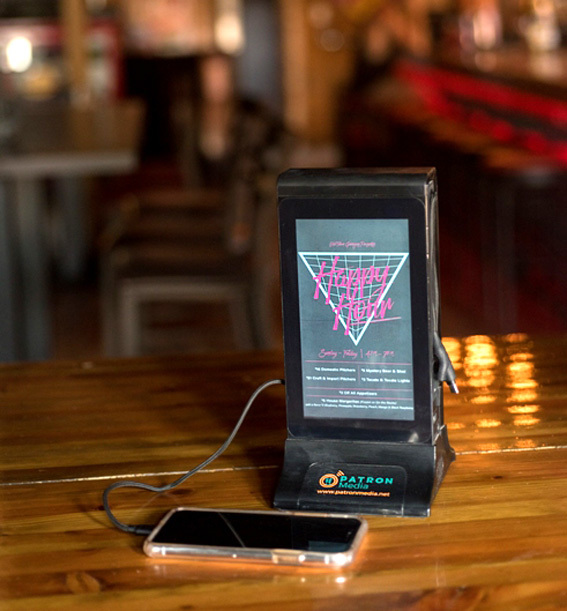 The Patron Media tabletop chargers are available for $2 per unit per day.